So I’m on day 17 of whole30 and am thinking about different ways to eat eggs as I have them every day. 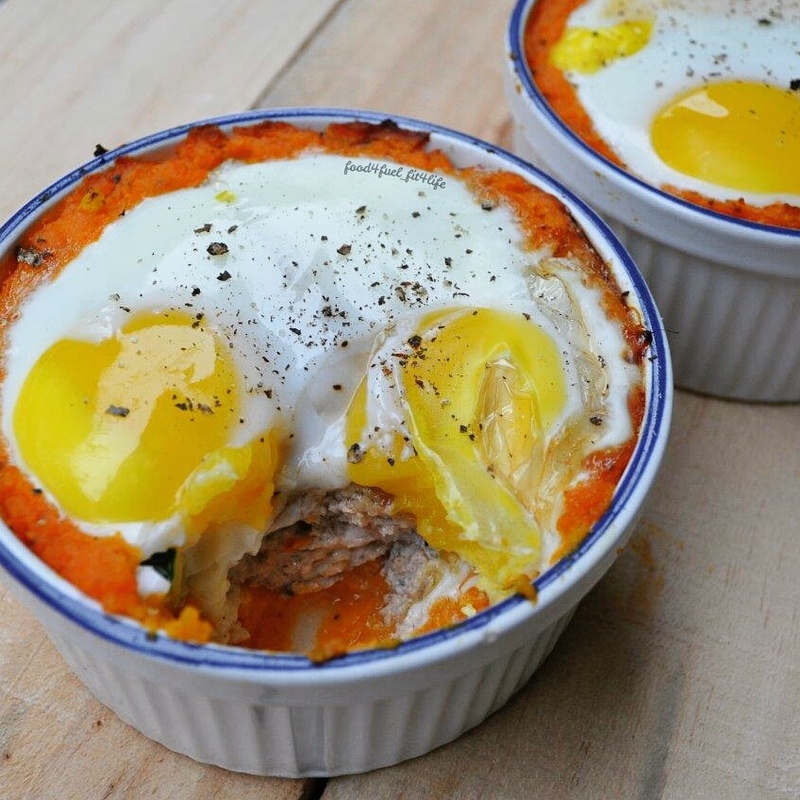 Last night I was planning today’s meals and came up with this idea spreading mashed yam on the bottom of a dish then adding a sausage patty in the centre then adding two eggs on top and bake. 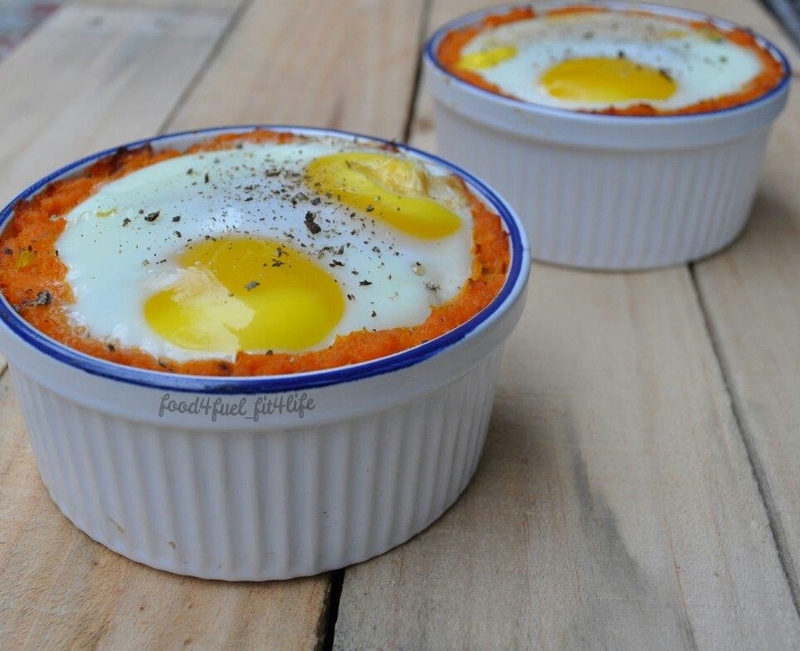 I originally thought of doing in muffin cups but knew the eggs wouldn’t fit so thought of using large size ramekins. I decided to do both ways and to leave the eggs out in muffin cups. There were a few steps to get this done but it is definately worth the wait! See below for the details. 1. 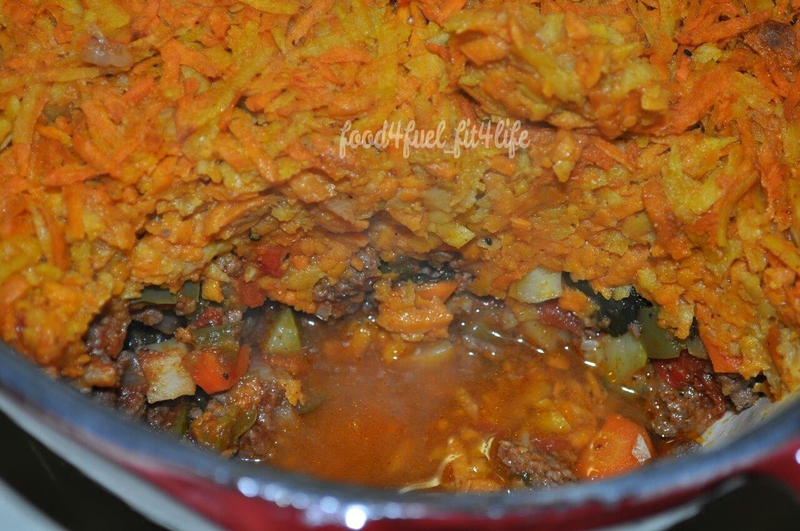 Boil cubed yams until just tender about 10 minutes once done mash with coconut oil. 2. 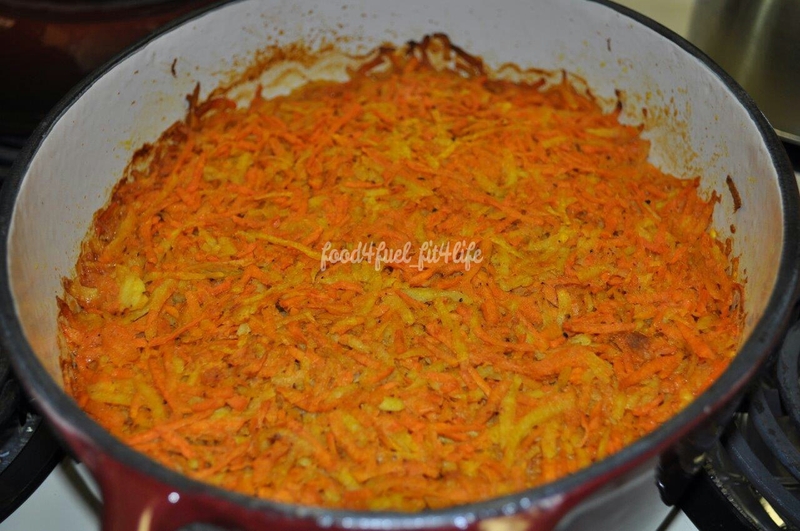 While yams are boiling combine pork and all seasonings together in bowl until well combined. 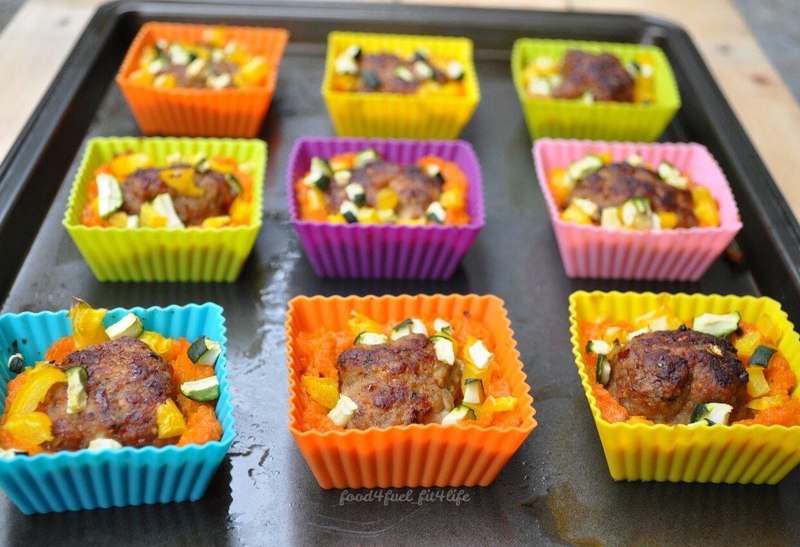 Preheat frying pan to medium heat and make sausage patties the size round of your dish you are using (I used 2 – 4″ ramekins and 9 square muffin cups). Fry few minutes per side, it’s ok if still pink you will be baking. 3.Chop your zucchini and pepper into little pieces and set aside. Preheat oven too 400°F. Grease your dishes and place on baking sheet, I used coconut oil. Now you can assemble it. 4. 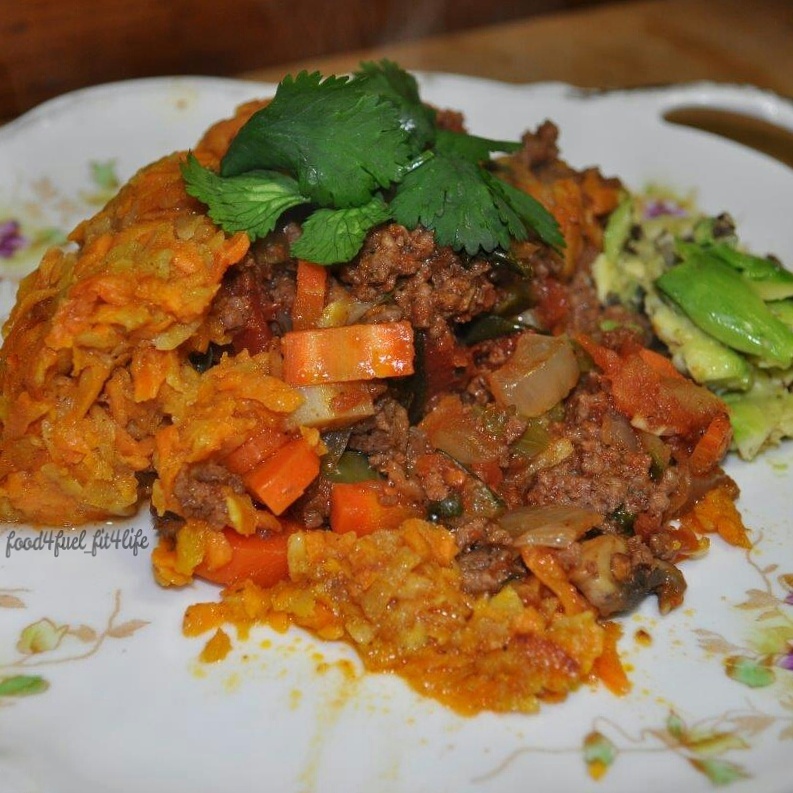 First place dollop of Yam in dish, using a spoon spread yam up sides and creating a well in center, repeat with remaining dishes. 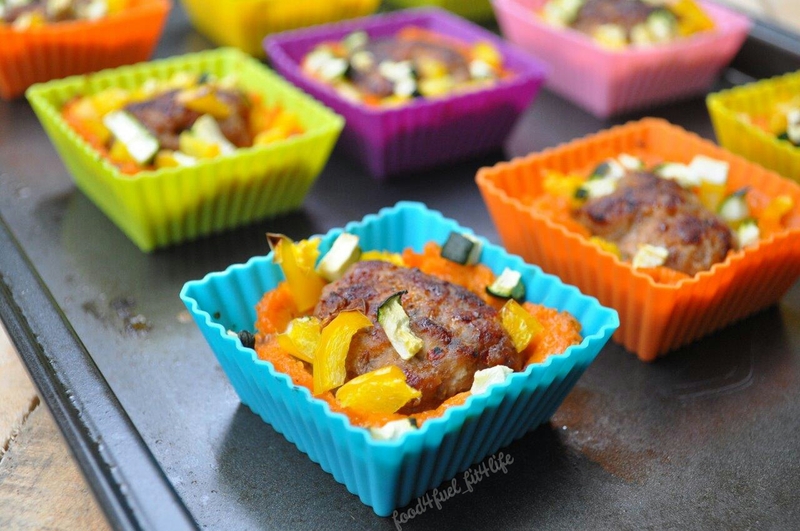 Take sausage patty and place in centre of each dish then bake in oven for 15 minutes. 5. 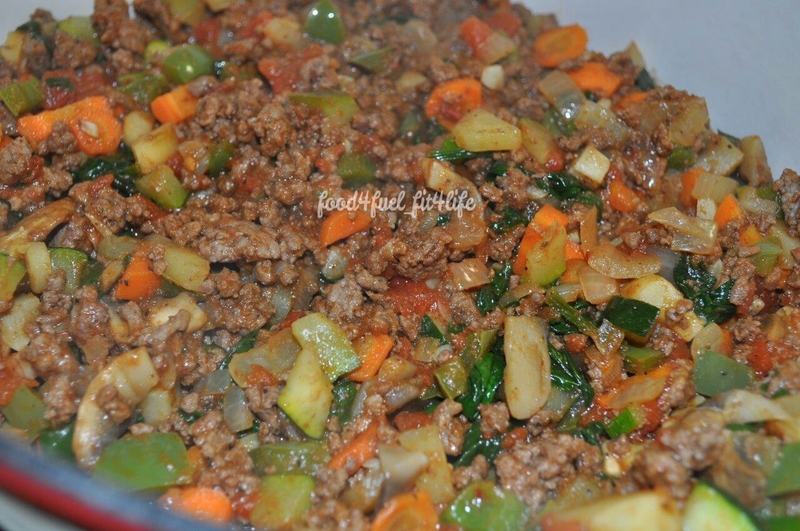 Remove from oven, sprinkle chopped bell pepper and zucchini over each dish. 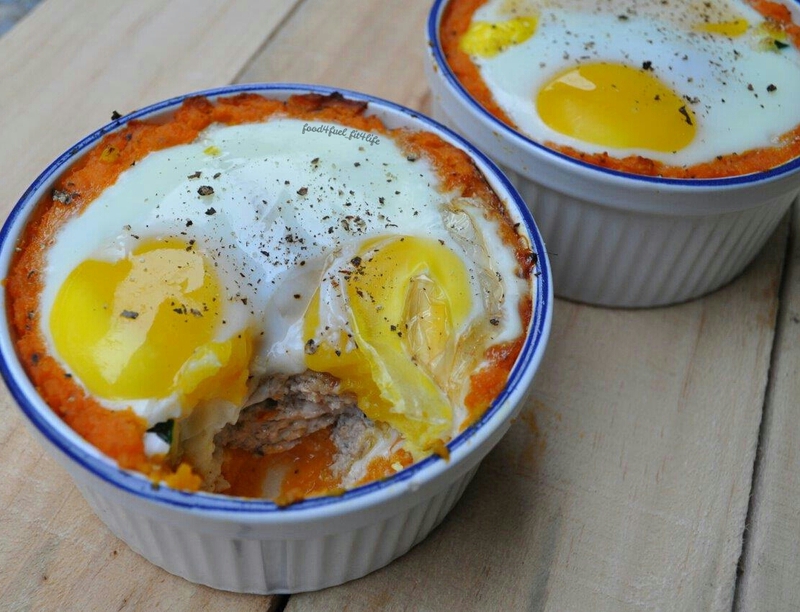 Crack two eggs in your ramekin size dishes and bake again 10-15 more minutes until eggs are cooked to your liking. 6. Remove from oven, let stand 5-10 minutes. Enjoy. 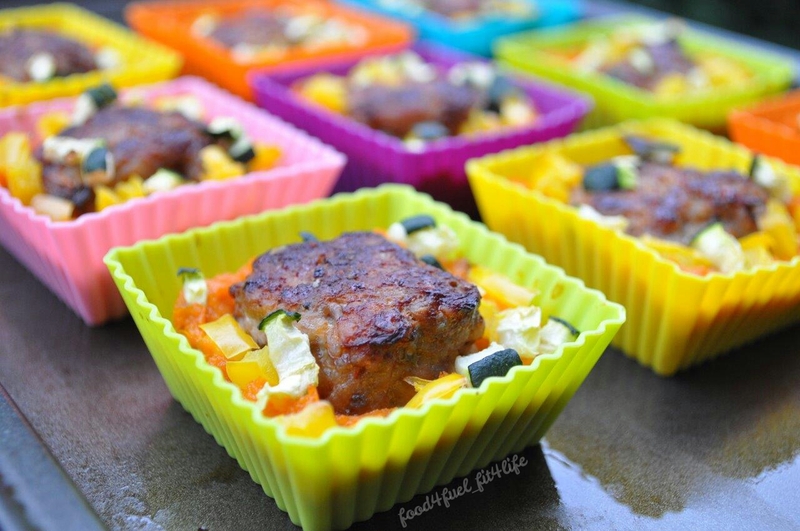 ○Serves 2 plus mini muffin size bakes can be used for snacks or other meals for the week.